At Robaire Company, Inc., we have established an excellent reputation for ourselves among HVAC maintenance companies. Based in Levittown, our HVAC contractor professionals have been serving businesses and residents throughout Bucks County and the Delaware Valley for over 30 years. We can service all makes and models of commercial and residential air conditioning. We are experts at maintaining or repairing any heating system you may have in your home or business and can install any new unit you desire if your old system has failed. Cooling is essential to your family’s comfort or to keeping your businesses’ doors open in the summer time, and we’ll be there for any issues you have with your air conditioning system. We have the knowledge and training to service any boiler you may have at your home or business located in Levittown, PA.
From our central location in Bucks County, we can easily reach your home or business whether you’re in Fairless Hills, Bristol, Bensalem, Penndel or any other towns in or around Bucks County. Our skilled HVAC technicians are licensed and insured to do AC repair, AC installation and any other HVAC contractor services in Pennsylvania. We also realize that cooling system problems may not strike only when it’s convenient, which is why we offer 24-hour emergency service. 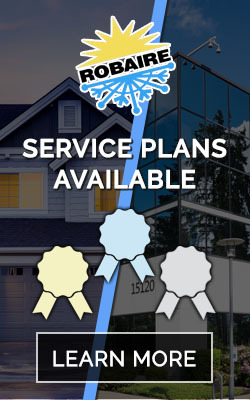 When searching among HVAC maintenance companies to service your commercial or residential air conditioning, please remember that we’ve been serving our customers since 1985, and our technicians receive ongoing training in order to stay up to speed on all heating, cooling and refrigeration system. When you need an experienced and professional HVAC contractor, please contact us, so we can show you why we have so many glowing testimonials on our website from people just like you.